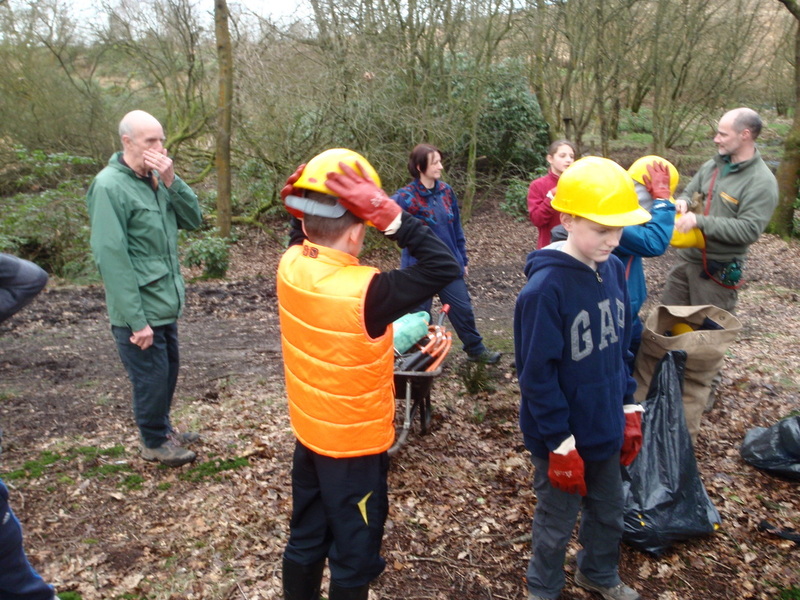 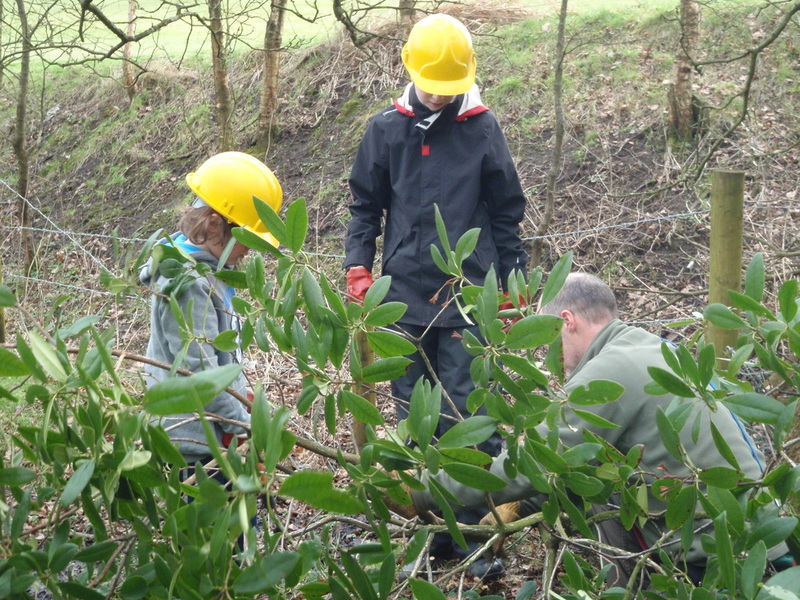 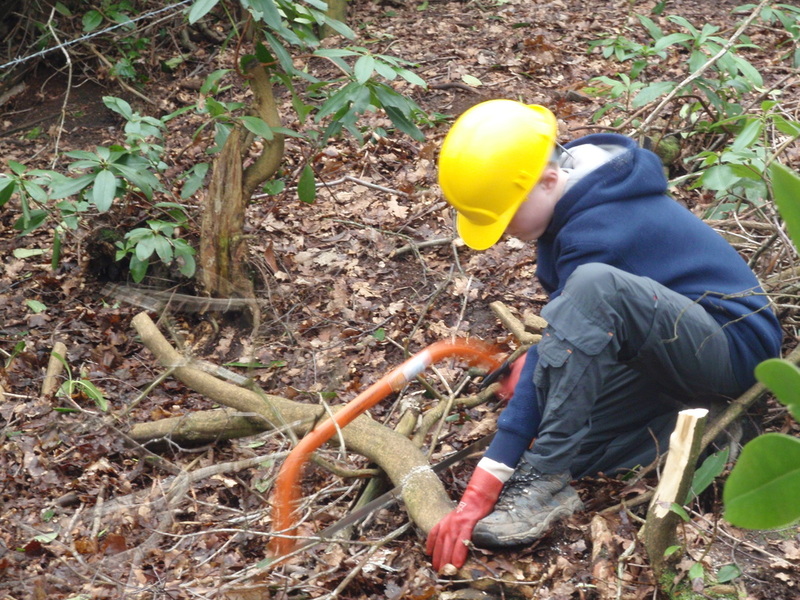 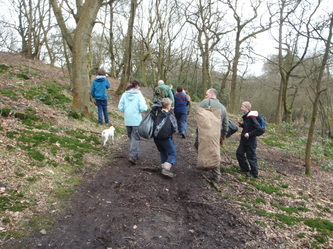 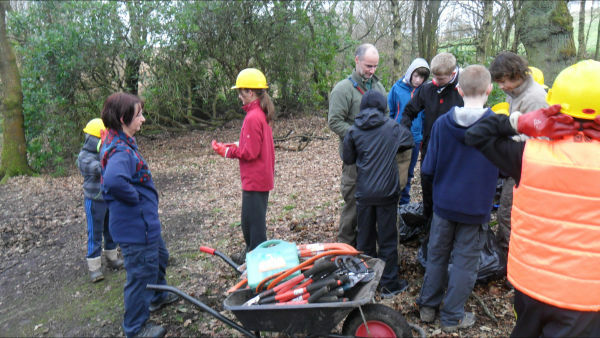 For our Community Challenge badge we did some work with Terry the warden at Hopwood Woods. We have done walks there before and the woods and nature reserve are an important green space for the people of Middleton. 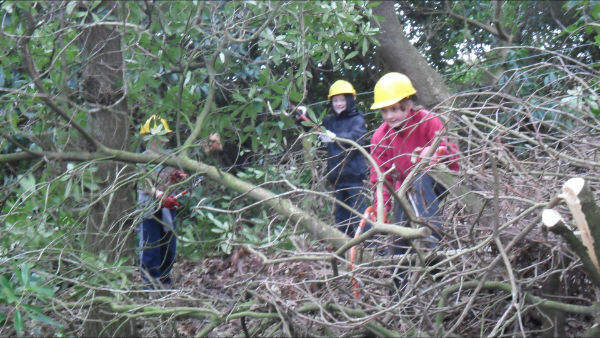 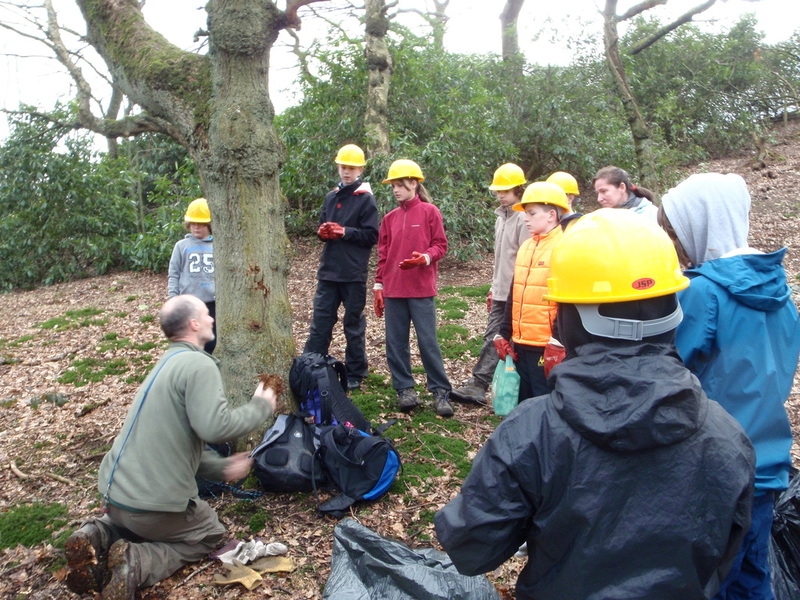 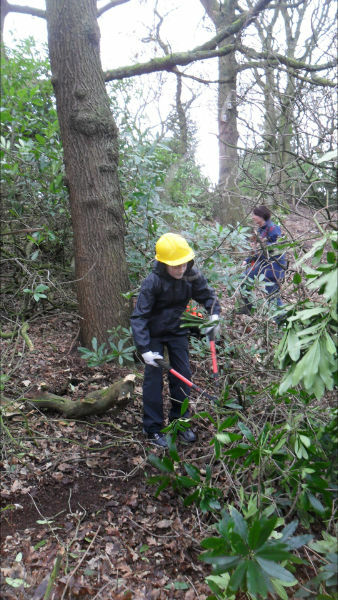 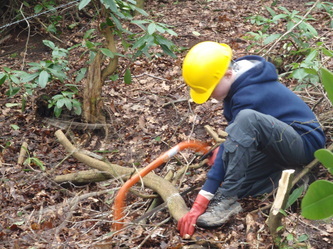 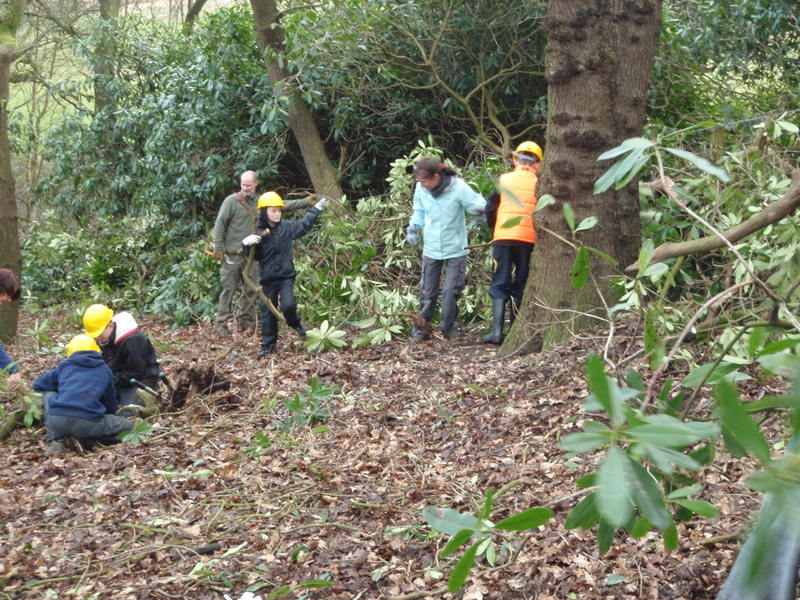 We helped carry the tools and equipment to a part of the woods where the Rhodedendrons had taken over. The Rhodedendrons change the Ph of the soil, making it hard for any other plants or trees to grow. 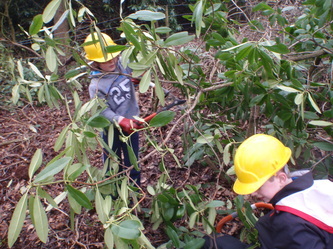 We put on work gloves and hard hats then used bow saws and loppers to cut down the Rhodedendron bushes. Every time we cut down a section of the bushes we carried it over to the fence where we laid it on the ground and cut it apart further with the loppers to make a "dead hedge". 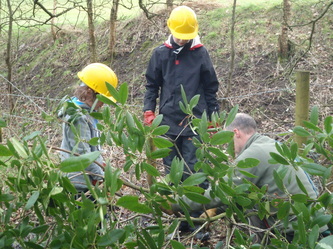 The hedge will rot away in a couple of years but as it rots it provides a habitat for birds, insects, animals and fungi. 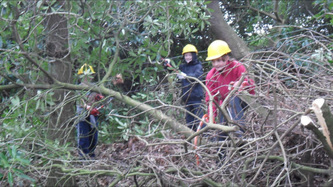 The stoats and weasels use the hedge as a run to travel to different sections of the woods. 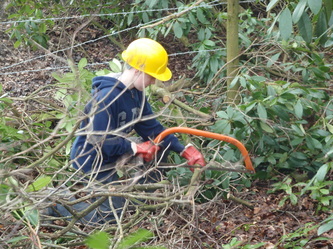 In the winter, snow falls on the hedge and encloses the space below, leaving a place for wildlife to gain shelter and food. 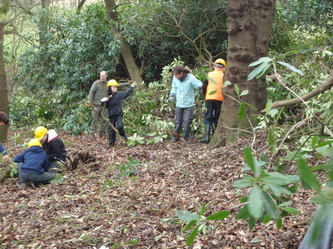 Now the rhodedendrons are gone the acidity of the soil can return to normal, allowing other plants and trees to grow. 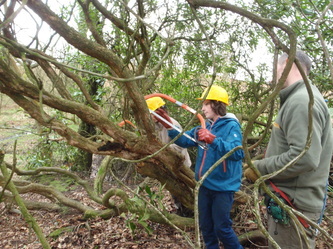 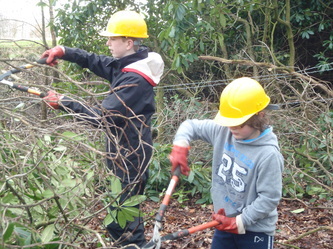 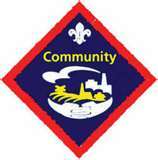 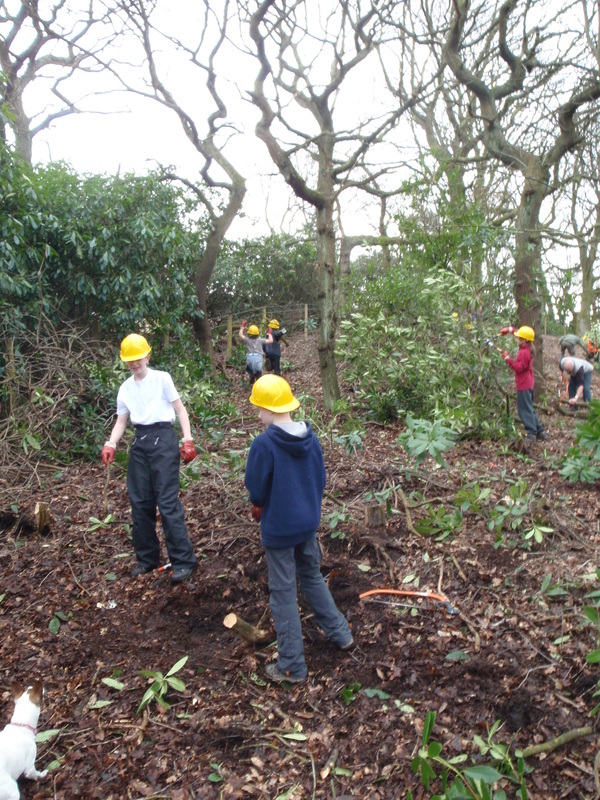 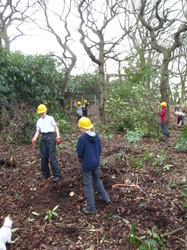 The Scouts really enjoyed the work and want to do more work with the wardens in the future.